A (de)collection of covers and out-takes from this Portland Black Metal Horde, here unveiling all of their stylistic facets; black metal, dark folk, and ugly death industrial. All with an open and experimental agenda; aesthetically and philosophically. Covers from Darkthrone, Emperor, and Current 93, a timeless assortment of tributes. 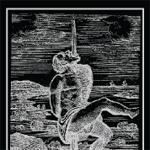 "More sonic daggers for the orthodox heart of black metal." Four panel j-card and six-panel insert with silver ink on black linen stock. Silver labels with black xerox printing. 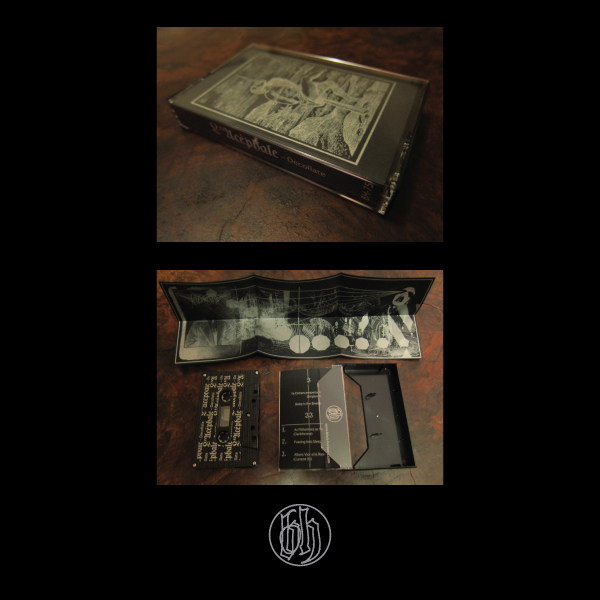 Edition of 200 copies on black tapes.